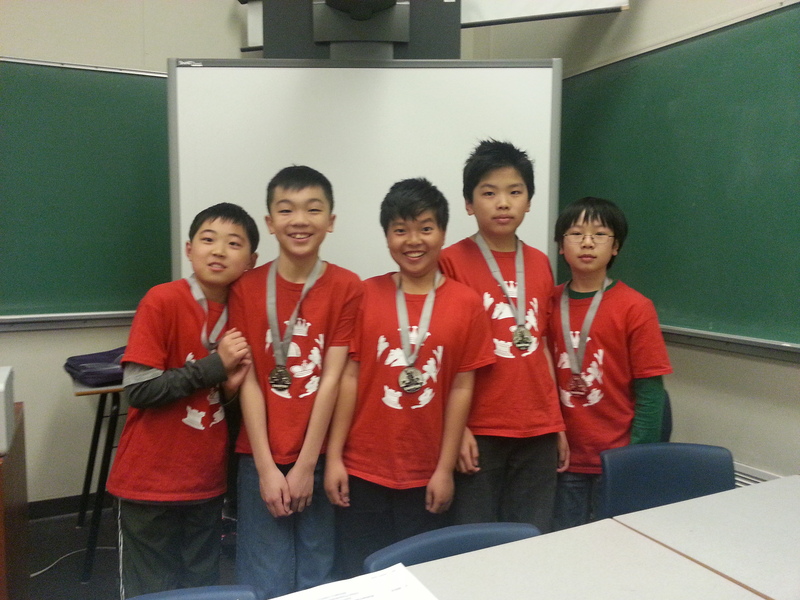 Congrats to our team members, Daniel, Kyle, Ray, Yikang and David, who played in the Toronto Secondary School Chess league finals today (April 25). Top 2 teams from each of the north, east, south and west of Toronto Secondary Schools meet in the finals. Our team has been invited to participate since 2001. We played in the Junior Division which is for students Grade 10 and under. We came second today after UTS. All our members went home with a silver medal and satisfaction. They liked my snacks and I liked their team spirit! It was a fantastic one! Everyone enjoyed the Tandem Simultaneous Exhibition presented by GM Eric Hansen and GM Robin van Kampen today at Oriole! There were quite a few no shows who ‘got stuck’ at the Ontario Chess Challenge. They were doing playoffs and waiting for their trophies. Congrats!